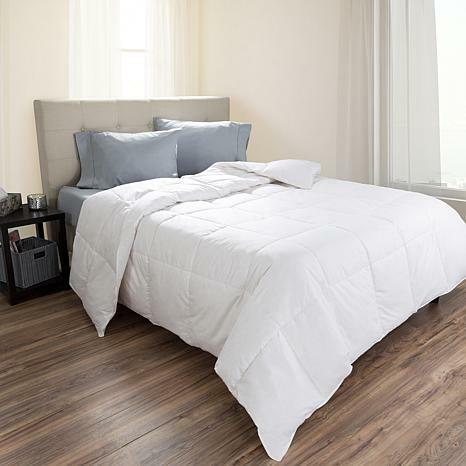 Sleep in luxury with the 233 Thread Count 100% Cotton Down Feather Comforter featuring a sewn through construction to maximize fluffiness and ensure the filling stays evenly distributed. 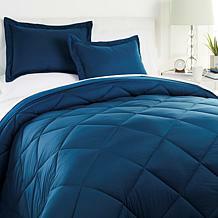 The 100% cotton cover is soft to the touch and the duck down feather fill keeps you comfortable through every season. The fill itself is lofty enough and appears to be made well. But it's not something your going to want to cuddle up with. It feels like paper. 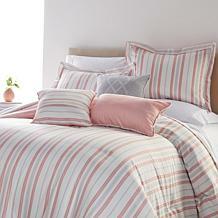 I bought for my teenager we always use down bedding all year around. I bought this for her birthday gift and when she took out of the bag she was immediately disappointed. We allowed a few days to settle and form but couldn't get past the feel of the covering itself. Would be ok with a duvet cover maybe.